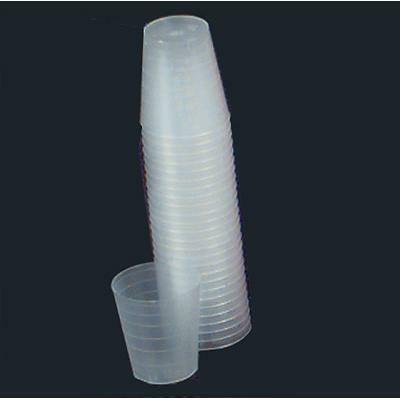 Narrow Graduated Medication Cup, Clear, 4,800 Cs. Available 400 per pack (#5165) or 4,800 per case. Plastic cups are also available in Blue, Red, and Yellow. Lids are white plastic. Colors can be used to color code the time of day, patient, medication, etc. Cups are graduated each mL with numbers at every 5 mL. Cups have a 30 mL capacity. Lids can be written on.